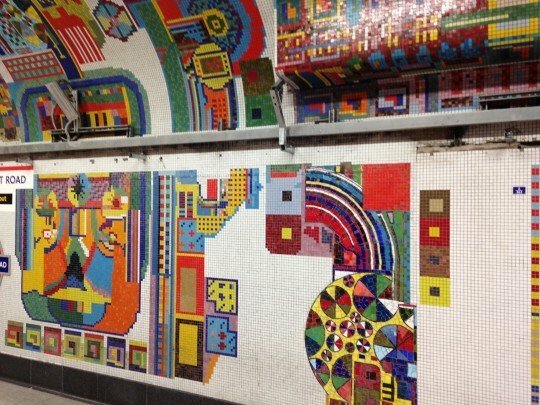 A look at the recent project to replace and repair the amazing Tottenham Court Road Mosaics designed by Eduardo Paolozzi. 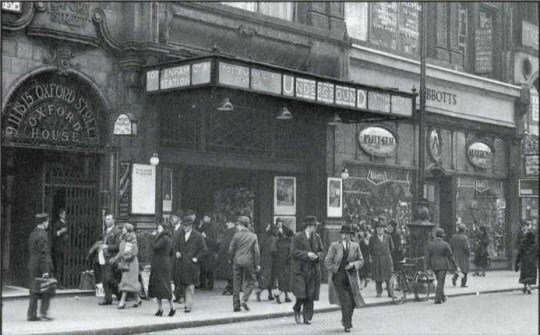 Opened in 1900, Tottenham Court Road underground station is one of the busiest on the London underground network. 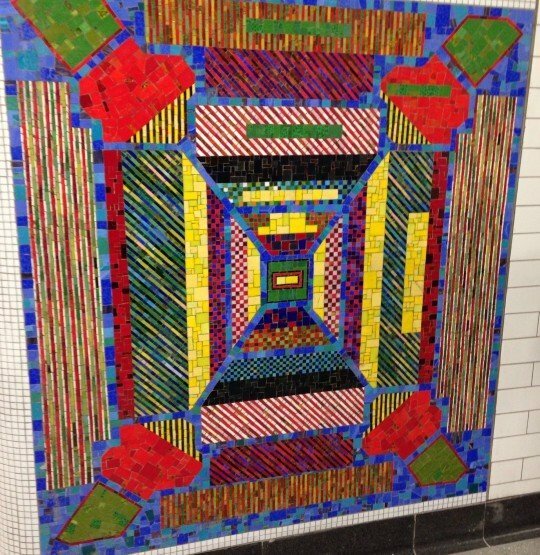 In 1980 Eduardo Paolozzi was commissioned to create an artwork for the station refurbishment. This was a dramatic breakthrough in pubic arts commissioning for the network, Paolozzi being an uncompromising contemporary artist with his own unique and distinctive vision, Paolozzi expressed the architecture and character of the station and the surrounding area with his own voice, rather than, as so often happens, merely illustrating the voice of the committee. The work eventually covered some 955m2 and was realised in three stages: the Central Line, made by Italmosaic in Spilimbergo; the Northern Line, made by Carter Contracting UK; and the other areas made by Art Pavements UK. The building of a new major East-West rail link for London, Crossrail, will see the station growing further. 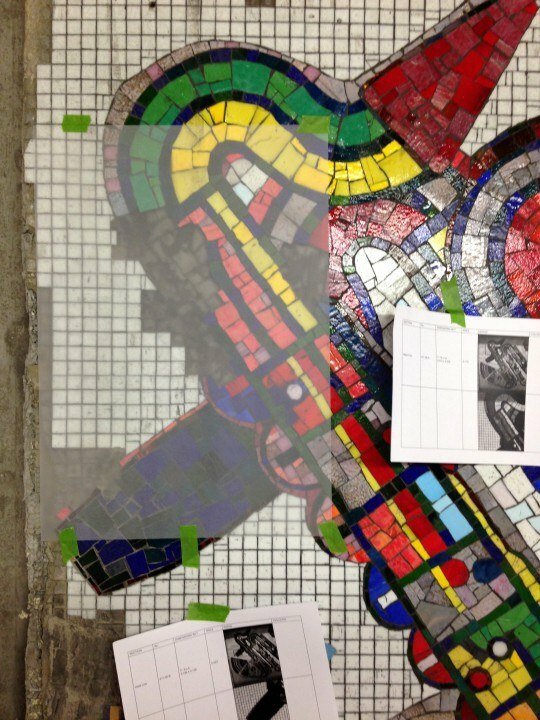 Work on the new line began in 2009 and the intersection of Crossrail, Central Line, Northern Line meant that a number of the Paolozzi mosaic were demolished in the process. Unfortunately Transport For London (TFL) the current authority for London’s transport network, had already decided that large sections of the removed mosaics were not going to be replaced, in particular the great mosaic arches that spanned the escalators going down to the platforms. The remains of these were sent to Edinburgh School of Art. 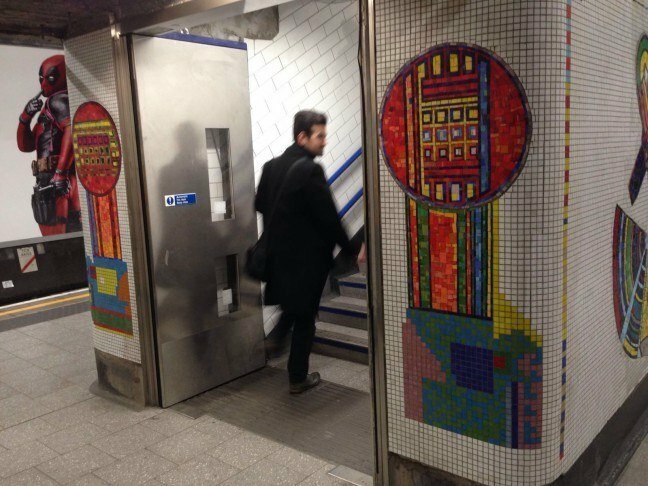 For a while it looked like the whole mosaic scheme was in danger of being demolished, thankfully TFL changed track on that and after a public campaign decided to preserve the rest of the mosaics. I was brought in by the main tiling contractor to recreate five of the Central Line panels that had been destroyed in the rearrangement works along with a number of smaller patch repairs to other damaged panels. This work was solely for the areas made in the Smalti piastrina plates. The first stage was to analyse records to see what had been there before, unfortunately, no one had taken proper photographs before the pieces were demolished, nor did they properly salvage the materials to either re-use or check the colours. luckily most of the work had been photographically surveyed some years earlier in 2007, though the colours were all distorted. Tracings of the in-situ damaged sections were taken in order to make the patches. This was a strange experience. Descending into the underground network in the middle of the night to be met with dark un-signposted tunnels, festoon lighting and everywhere construction workers in their bright orange overalls hammering and drilling was a little like going down a mine. Each section was carefully traced and annotated for colours. the tracings were then matched up with the digital archive so that the original missing tesserae could be drawn into the ‘void’. These tracings then went on to be transferred to the paper cartoons. 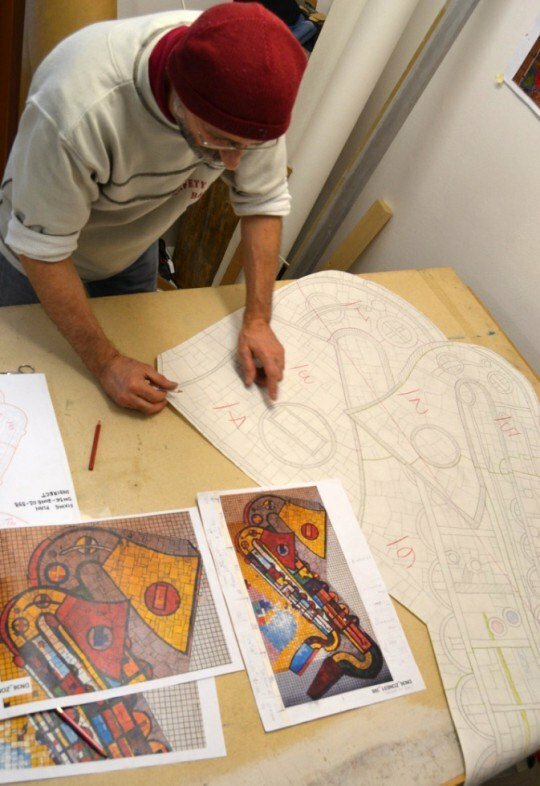 The paper cartoons for the new sections had to be drawn from scratch, firstly using the dimensions of the original taken by counting the regular Bisazza tiling on the photographs and then projecting the 2007 images into these dimensions, every tesserae cut was traced individually. Once the cartoons were done the next phase was to match up the colours, this proved to be much harder than expected as the originals were long gone and a simple look at different photographs showed widely different colours for the same panel depending on the camera and when it was taken. This was then complicated further by the retrieval of some loose debris material which showed the use of unknown non-smalti metallic glass tiles and piastrina colours that were clearly no longer available in the current palettes. Working out exactly which colours were needed and in what quantity was proving a big headache, increased by the difficulty of having to order from Italy. What we really needed was to have the whole stock of the factory just around the corner so we could just take material as we needed it. Then Giulia Vogrig, one of my studio team said “why not move the studio to Friuli”. At first it seemed a bit crazy but the more we discussed it the more obvious it seemed – set up a temporary studio near the Donå mosaic workshop and simply walk in and to buy just what we needed as we needed it. 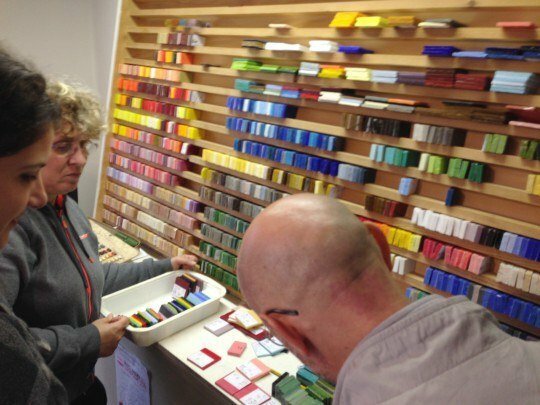 Selecting the glass colours from the fabulous library at the Donå mosaic factory in Spilimbergo. The ‘pop-up’ studio in Friuli was set up, material was brought in from Donå and Orsoni in Venice. 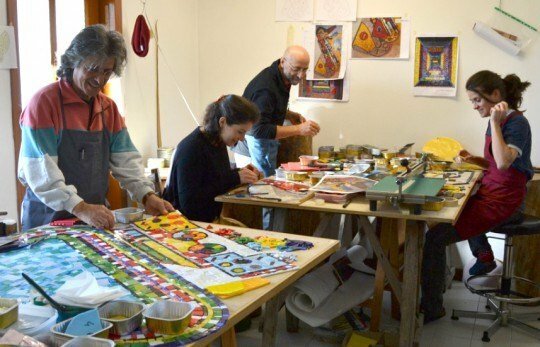 Giulia Vogrig and Monica Piovesana came out from London and extra help was brought in from local Friuli mosaic experts Paolo Miamonte and Valter Solari to keep us on schedule for the fast approaching deadline. Each panel was carefully re-created tile for tile cutting the piastrina glass in the traditional way with hammers working in the paper-faced reverse technique. Once completed the work was packed and transported back to London and the pop-up workshop folded. 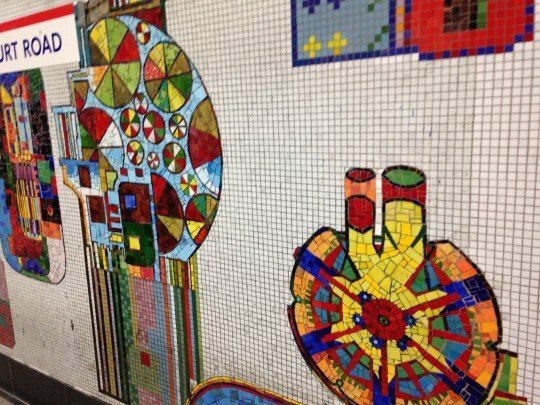 The mosaics were then installed by contractors during the short night working hours of 1am-4am while the tube station was closed down. 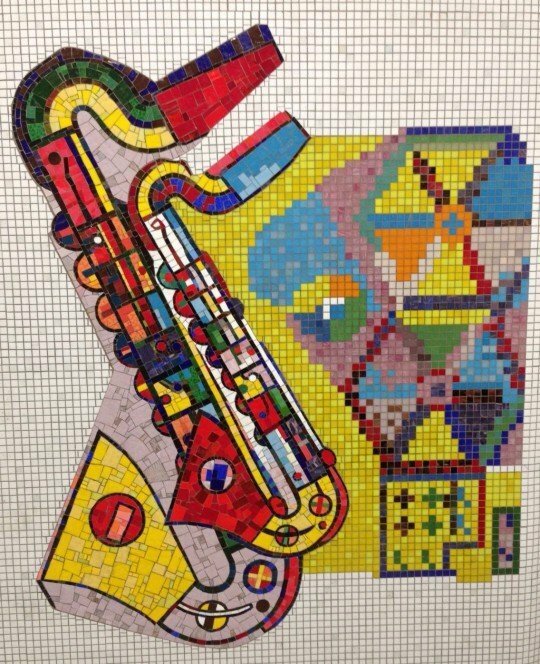 The refurbishment of the Paolozzi Mosaics at Tottenham Court Road station on the London Underground has been awarded ‘The Great Western Railway Craft Skills Award from the National Railway Heritage Awards. 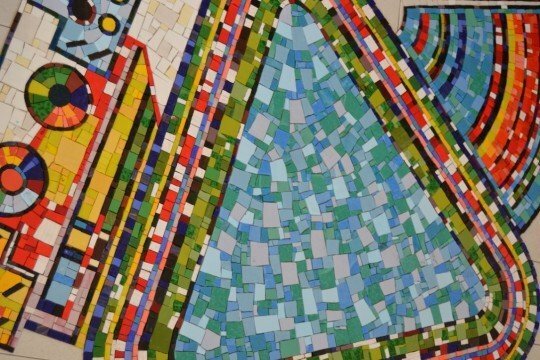 The refurbishment of the historic mosaics included the making of five replacement panels and numerous patches in Smalti Piastrina by Drostle Public Arts Ltd. The Tottenham Court Road mosaic restoration project received the 2017 Trienniel award in the Wall and Floor Tiling category from the Worshipful Company of Tylers and Bricklayers.